Publish your content to a voice-controlled device such as the Amazon Alexa and Google Home. You can also publish your content as voice to an embedded onsite audio player or via a podcast subscription service. Sign up to our mailing list and win an Alexa Echo Dot. Using the latest in text-to-audio technology we produce the most humanlike audio for your content in more than a 100 different voices. We have plans to suit all publishers whether you're a national broadcaster or an individual blogger. 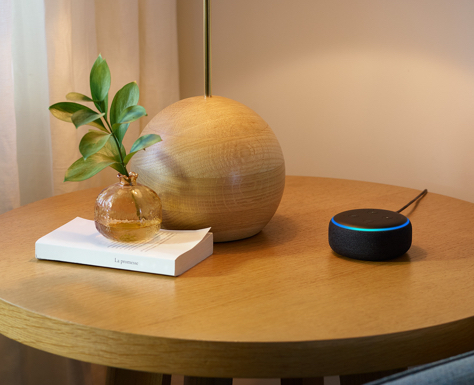 With Publisher Plus Voice, you can now publish your content to a voice-controlled device such as the Amazon Alexa or the Google Home. You can also publish your content as voice to an embedded onsite audio player or a podcast subscription service. Publisher Plus Voice converts text into human-like speech in more than 100 voices across 20 plus languages and variants.